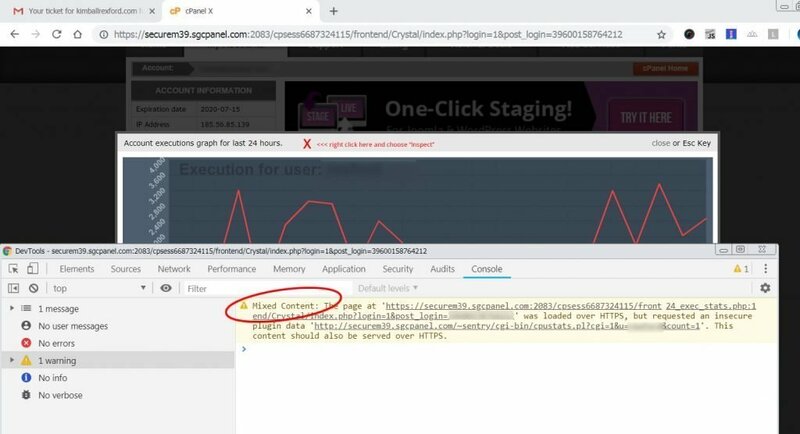 Then Click the 24h Execution Graph link, to get the popup. Pictured here. No choose “Console” to see the warnings. 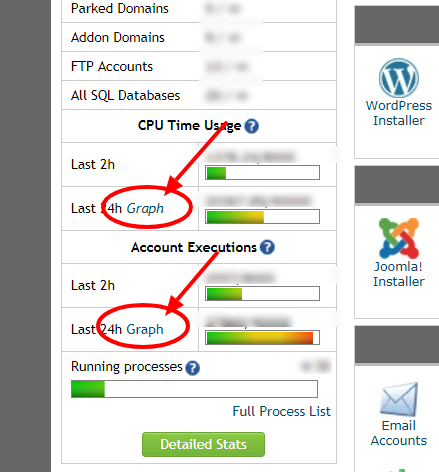 Right click on the graph link in the cpanel, (see first photo) and choose to open the popup in a new tab. Then you can see the the not-secure error in the address bar.